It is our ambition to provide you with high-quality products and top service. Germany is well known for its accuracy. We stick to this cultural background and assure to deliver only products of highest quality and absolute pureness, which meet with all requirements as to analysis results and substance identification. The PKI 8260 delivers detailed, exact and absolutely reliable results of consumed drugs. This price worthy set is an immunological test for identification of consumed drugs in the urine, as well as in other suspicious compact material and is very easy to apply. The PKI 8260 offers full mobility and security for the user, as no further items or dangerous chemical substances are necessary. A result with up to 99 % reliability can be obtained with this high-tech device within 1-5 minutes. 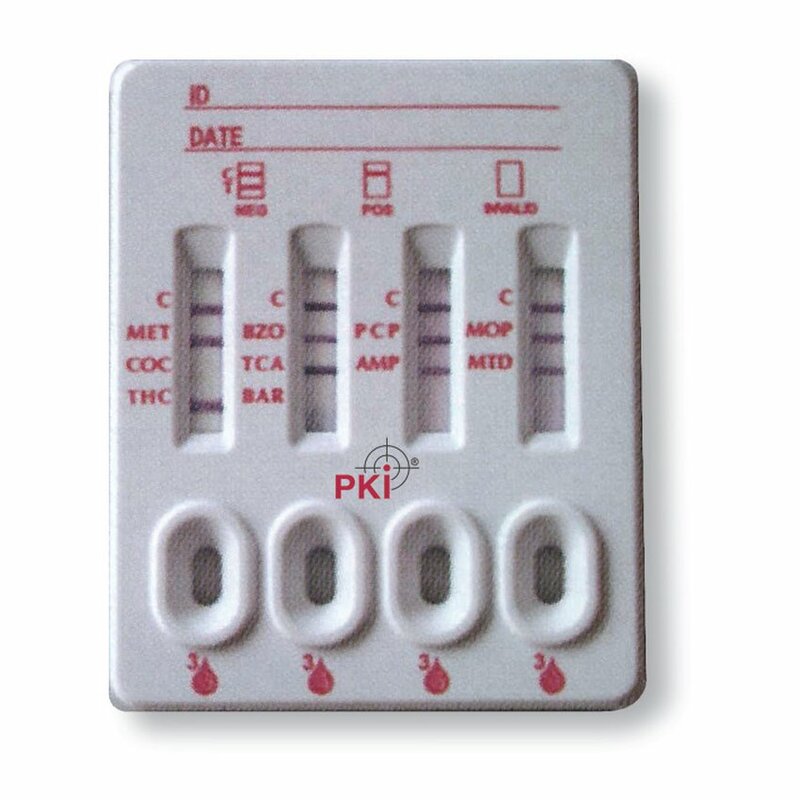 Also available is an additional drug test panel, produced individually according to our customer’s requirements. 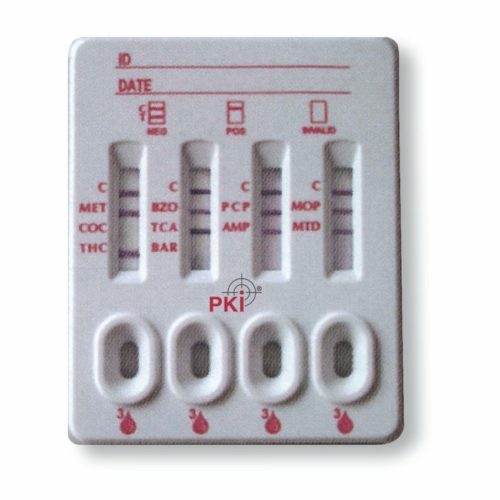 Every urinary test is based on the chemical reaction between the substance and the relevant test strips, which have a shelf life of up to 18 months before use. Test properties of the stripes do not alter under normal storage conditions at moderate temperatures and comply with international standards with test results that are comparable to GC/MS. Minimum concentrations are between 10 ng/ml for Buprenorphin and 1000 ng/ml for Amphetamine, Tricyclic Antidepressants and Methamphetamines.